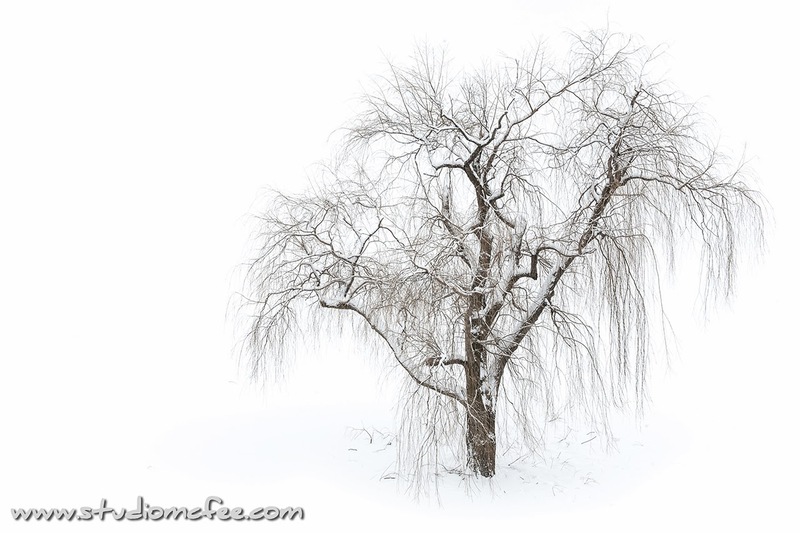 The willow stands alone. Fresh snow covers the ground and rests upon the branches. Without its shroud of leaves, the tree's elementary nature is revealed. A recent ice storm has broken limbs but new growth is also evident. The tree may be dormant but signs of life persist even though spring is two months away.